What can be made from cardboard, which is known by most people only as packaging material. 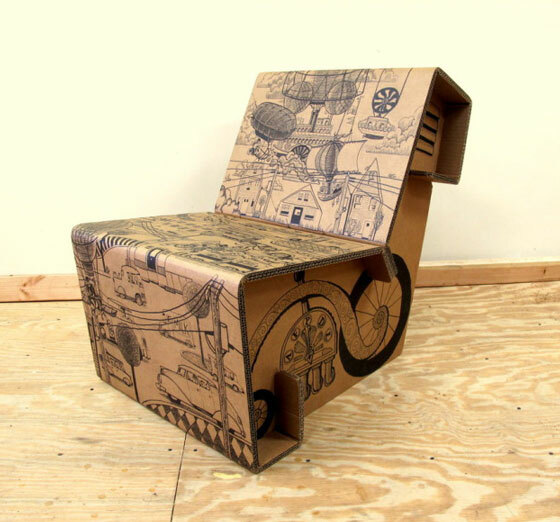 Due to its durable feature, many designers give some clever thoughts and give those ordinary cardboard a second life. 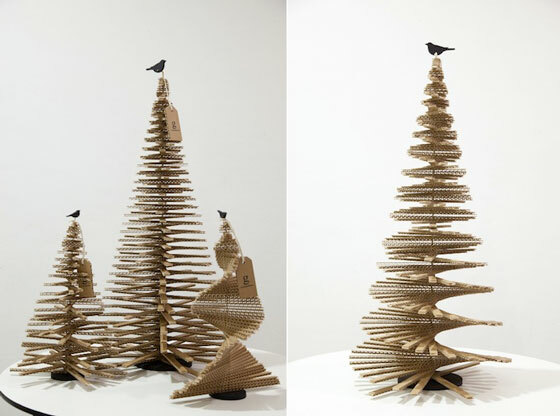 Here we have 7 Cool and Unusual Products Made from Cardboard, ranging from functional to decorative. Take a look and tell us what is your favorite cardboard product. Hanging the poor animal’s head on a wall as a trophy is not acceptable for many people. If you really want to have something special as wall decor, take a look at this animal friendly cardboard trophy head. These trophy heads are laser-cut for precision fit and easy assembly using slotted construction. They look great in their native brown or white and can be decorated with paint, glitter, wrapping paper or other craft materials. Each trophy is made from recycled cardboard, a non-toxic, environmentally friendly product. 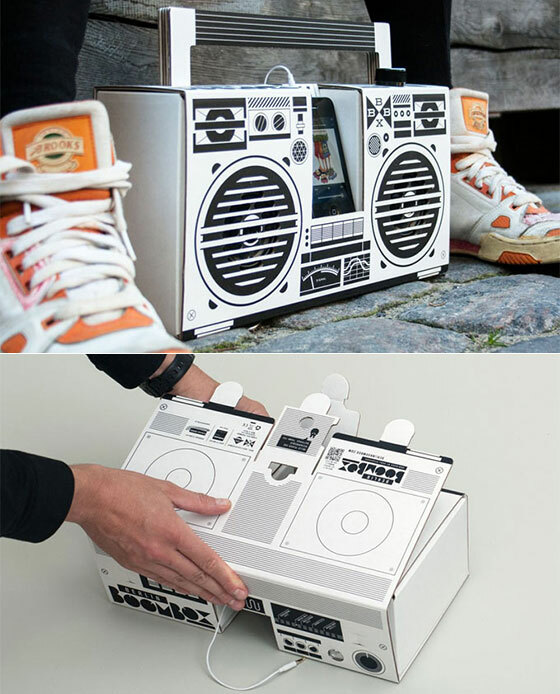 Made by Berlin-based designer & illustrator Axel Pfaender, Berlin Boombox is a kind of build it yourself electronics. 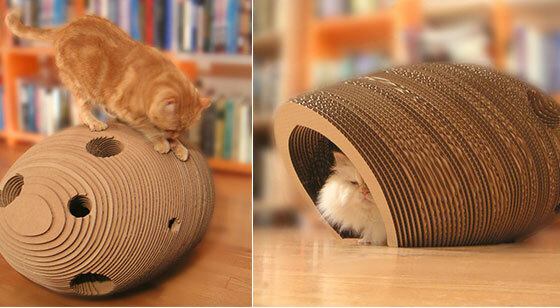 Comes as a kit and makde from heavy corrugated cardboard. It features a strong carrying handle and a single big knob for power and volume. Digital 2×5 watts amplifier, Hi-Fi speakers and it is compatible with any MP3 player, including iPhone 5. A perfect example of old school boombox design meets new technology. 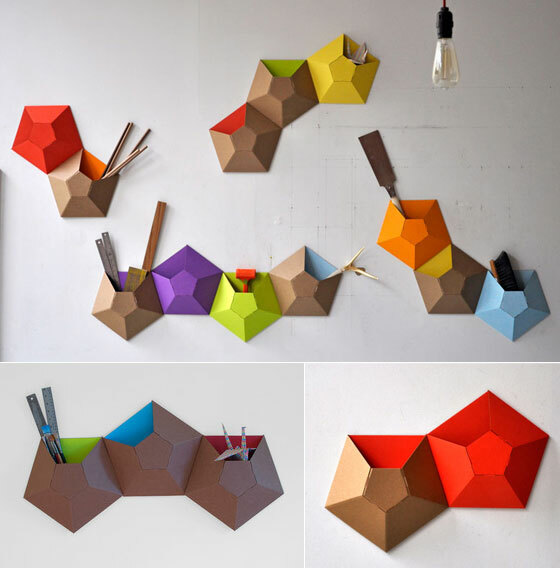 Inspired by barnacles and simple geometric shapes, Wallpockets look like wall decorations but actually are clever cardboard storage clusters. Each pentagonal pocket is die-cut from 100% recycled cardboard, and has integrated notches for easy and reversible assembly. They beautifully occupy any underused wall space and can store a large variety of items inside. With those colorful wallpocket, you can easily add a pop of color and a layer of textural depth to the walls as well as keep everything in order. Cats scratch furniture to mark their territory, exercise their muscles and for sheer pleasure. 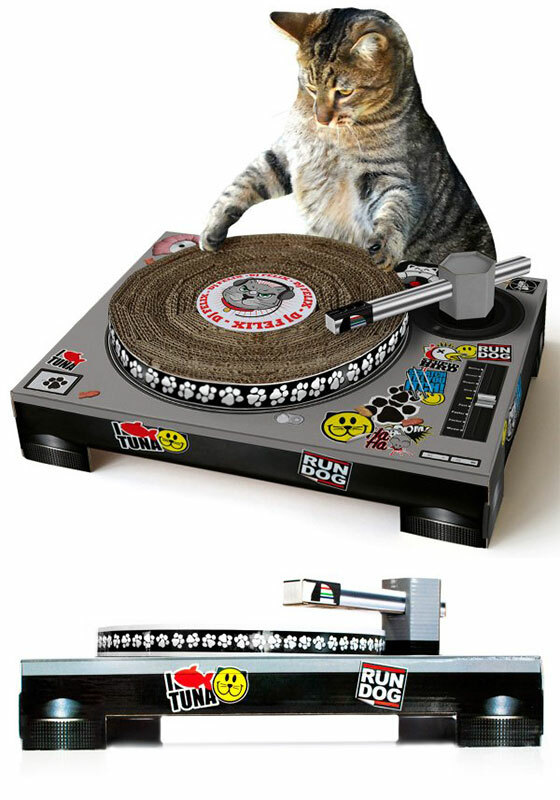 This DJ Cat Scratch is something good for your cat to get his claws into and protect your furniture at the same time. The decks come flat packed and fold together into a simple structure with poseable tone arm and a top which spins as your cat paws at it. Founded by Zach Rotholz, Chairigami produces furniture made entirely out of triple-wall cardboard, which means it is recyclable, lightweight, flat-packed, and easy to assemble. Right now, this cardboard furniture line covers sofas, desk chairs, standing desks, coffee tables and shelving. The chairs last about a year, while the tables can make it up to four years. No glues or fasteners are necessary to put the recyclable items together–they all just fit into slots.